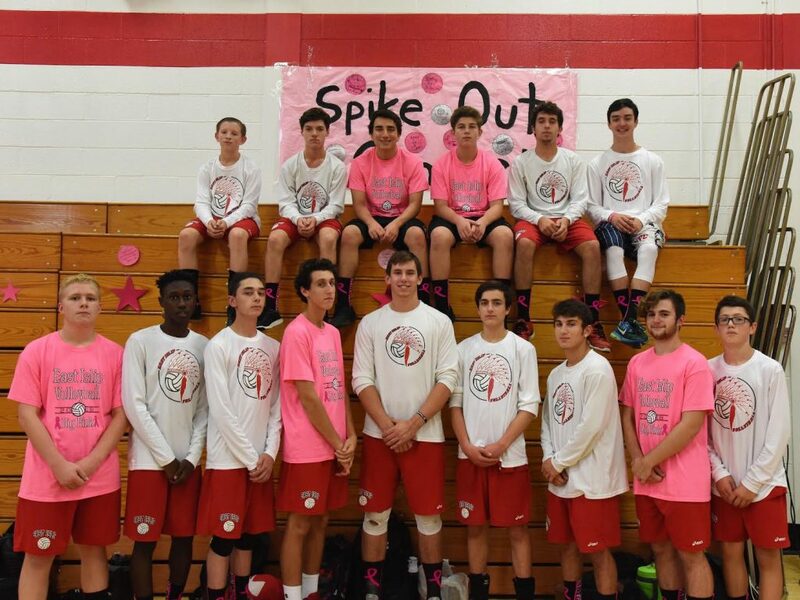 October is National Breast Cancer Awareness Month, and East Islip High School’s boys and girls volleyball programs volleyed for a cure by participating in the Side-Out Foundation’s Dig Pink initiative, collectively raising $1,128 during the course of a few weeks for breast cancer awareness. All teams assisted by selling Dig Pink shirts prior to game days. On Oct. 9 and 10, the boys and girls teams took to the court to help block out cancer. 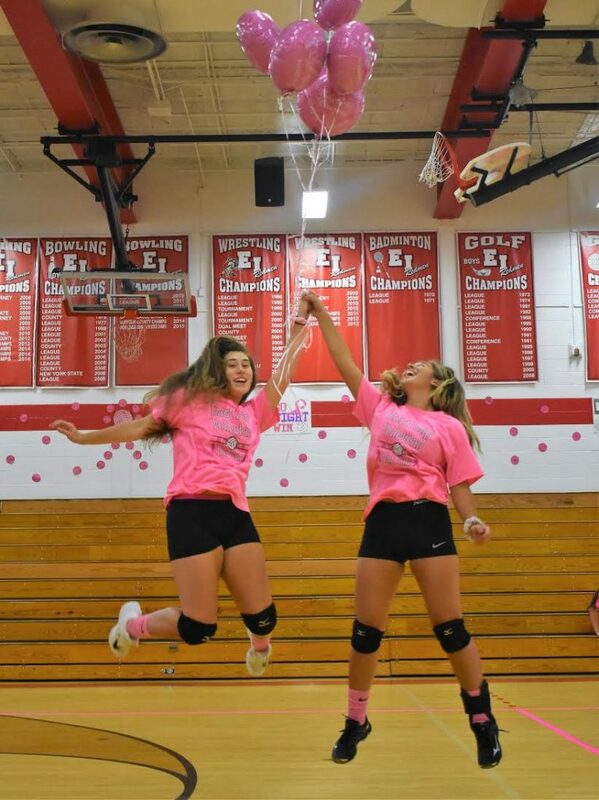 The gym was adorned with inspiring posters, pink donation balls and balloons, and a court outlined in bright pink. Girls team members also raised funds by making baked goods to sell on game day. 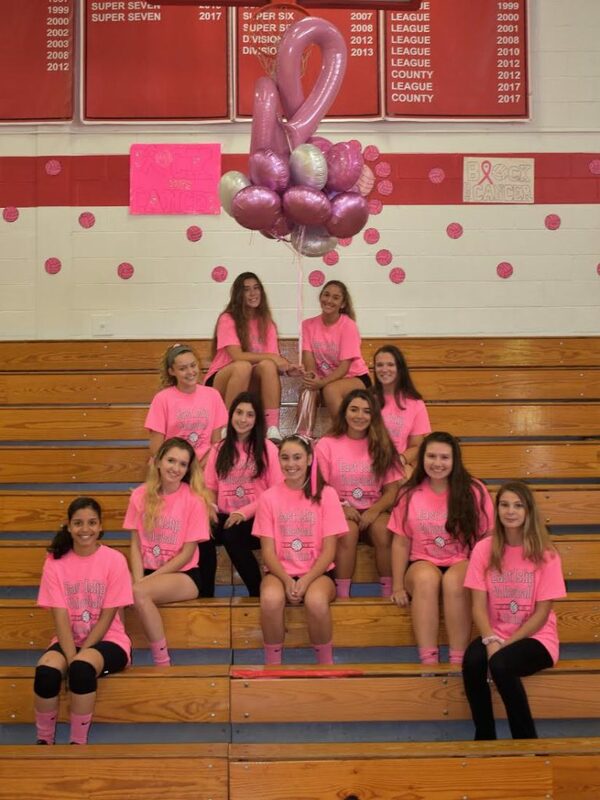 DSC_0034, DSC_0109, MTM_4410: East Islip High School’s boys and girls volleyball programs raised $1,128 for breast cancer awareness participating in the Side-Out Foundation’s Dig Pink initiative.